With multidiscipline training we have at Liberty Square Dental Centre, we can combine different specialty treatment including periodontology, braces, restorative, and cosmetics treatment to provide a comprehensive result that joins science and arts. Restorative and periodontal treatments were started initially to control periodontal disease and caries. Once, disease free, braces was started and continued for 3 years. 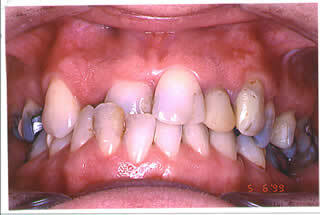 Teeth whitening was then completed to create whiter teeth. 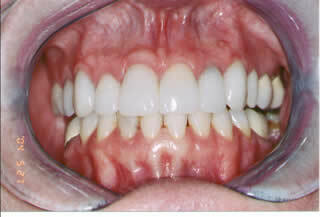 At the end, cosmetic treatment including 20 Empress crowns and veneers were done. Can you recognise the patient after this multi-discipline treatment?